You'll be £12.99 closer to your next £10.00 credit when you purchase Tracing Your Ancestors' Parish Records. What's this? 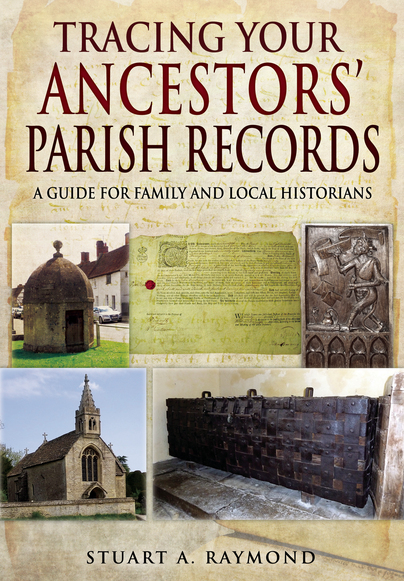 This a very comprehensive discussion of the parish and its doings, of how and where, and by whom recorded. It is clearly written and even has its odd moments of humour. Compact and easy to read; Stuart explains everything very well and it is easy to understand how records were used in the original context and how they could benefit the researcher now. What could be viewed as a rather steady subject has, in this book, been expertly crafted in to an enjoyable read. Tracing family history has become a very popular activity. The internet and television programmes have spurred fresh interest, but one of the rich sources of information is to be found in Parish Records. This book provides a fascinating tour of the nature and accessibility of these local records, providing a wealth of information, showing how and why the records were kept and what information they can provide. 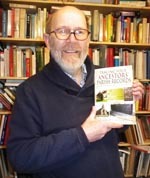 This book is an obvious first choice for anyone starting to research the origins of their family, but it also provides images and text that is interesting also as a clear insight into local affairs and the taxation due to the Church in tithes, dating back to the period when the Church was effectively a State within a State, owing its loyalty to the Pope. An excellent read... The author has produced one of the most interesting books on the subject and the inclusion of many images through the body of the book has painted a picture that contains many absorbing facts and surprises. Highly recommended. A reference book that will be invaluable to all historians who want to establish the past lives and times of ancestors and communities. There are comprehensive sections covering the records relating to the Poor Laws, Apprentices, Churches and Parish Registers, Tithes, Enclosures and Charities. Detailed notes on sources are included for each section. This is the first detailed guide to these records to be published for over thirty years, and offers a detailed introduction and guide to the documents which researchers may encounter. These records are of great value to local historians as well as genealogists. If you've been using the parish baptism, marriage and burial registers for your family history research, but would now like to explore the range of parish records more fully, this is the guide for you. A hugely useful book.